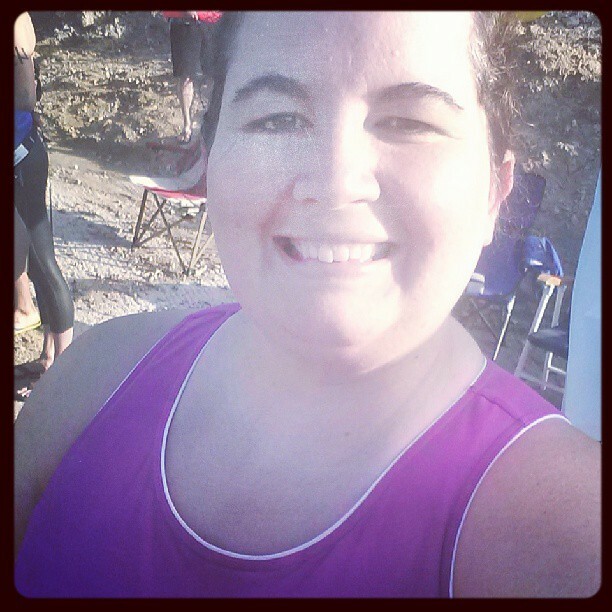 Open water swim #6 has come and gone! It was a great day. 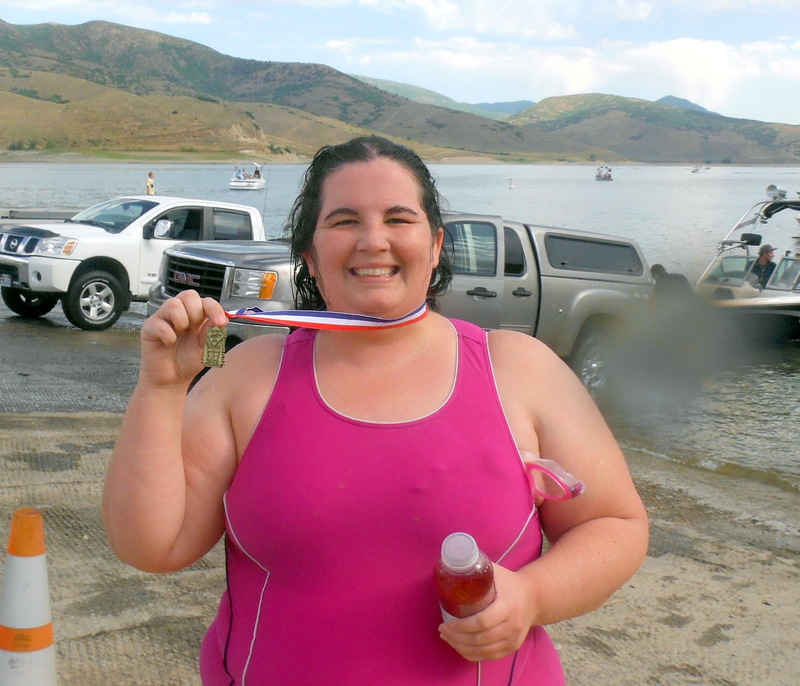 This is my third year doing the Deer Creek swim and last year I did the 5k and I thought about doing it this year and probably could have but was worried about my training ability this summer. I wanted to have fun and enjoy the day so I signed up for the 1 mile and I’m glad I did. It was a great day and I felt quite pampered. It was really nice of Tania to drive me and load up my kayak into her truck. 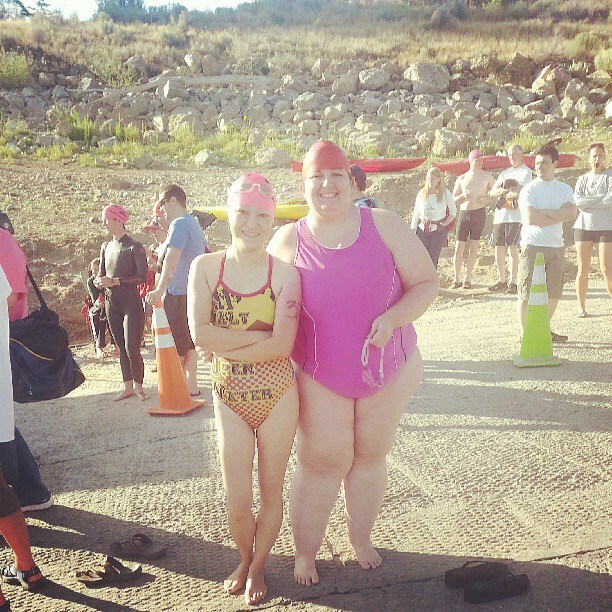 I hope she had a good time and is inspired for her first open water swim race in October. 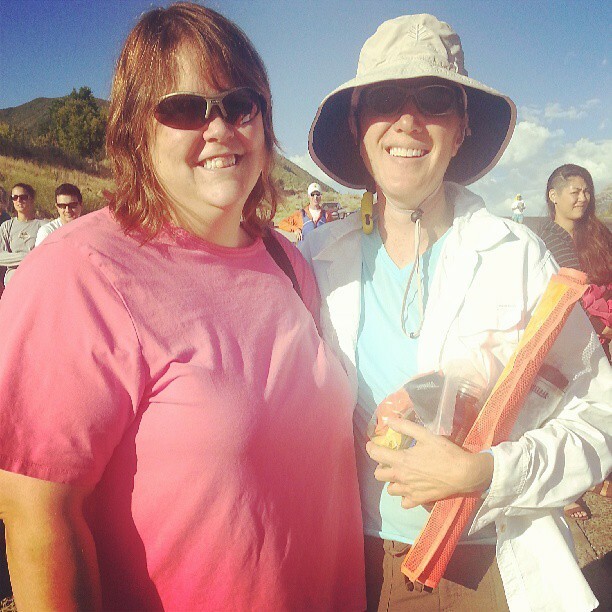 She’s become my favorite swim buddy (along with Renee and Kate) and we are both working towards a strong finish at that race. Anyway, we got to the lake and they were running behind but it gave time to stretch and get ready. 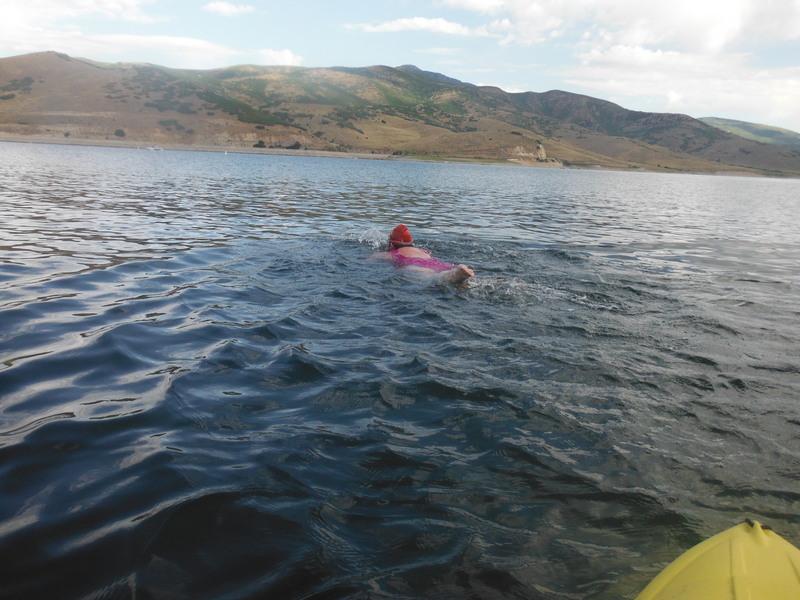 I was a little worried about the cold water because its been a little cooler and we swam Blackridge pond last week which was freezing, so I thought Deer Creek might also be cold. Luckily it was the perfect temperature and they did a great job keeping boats out of the way. It wasn’t until the very end of my race that I felt any boat traffic at all. 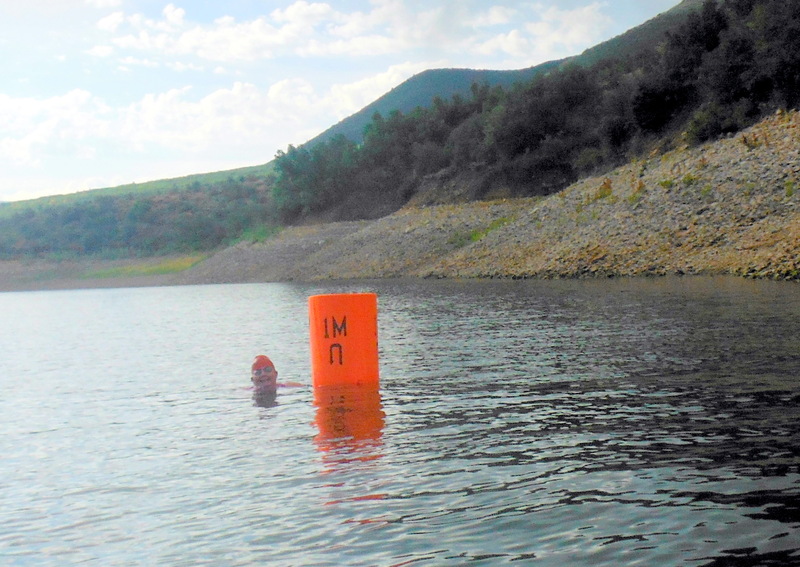 I felt a rush of pride fill me as I pushed the finishline buoy. Its a huge accomplishment and a lot of fun also. Renee was great- a very encouraging paddler and friend. The whole thing was awesome! I hope that someone reads this and thinks ‘If she can do that, I could do ……”. 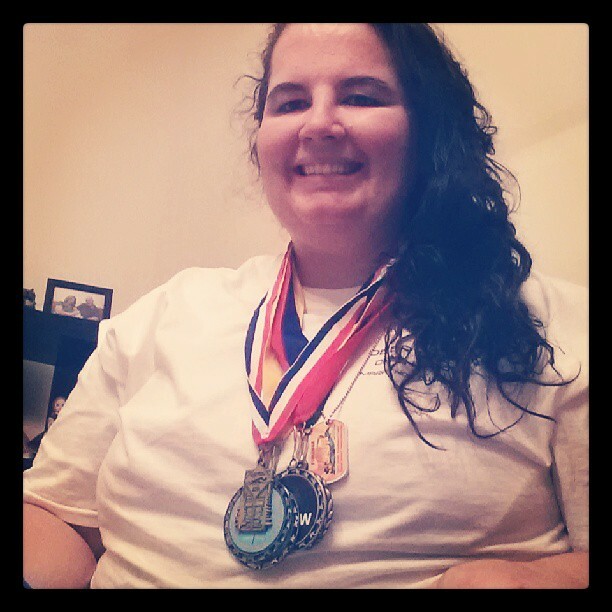 I want to encourage you all to find a worthwhile physical activity and embrace it, push yourself, NO MATTER YOUR SIZE. If I can do it, anyone can. It just takes hard work and the right support with a little bit of luck thrown in. 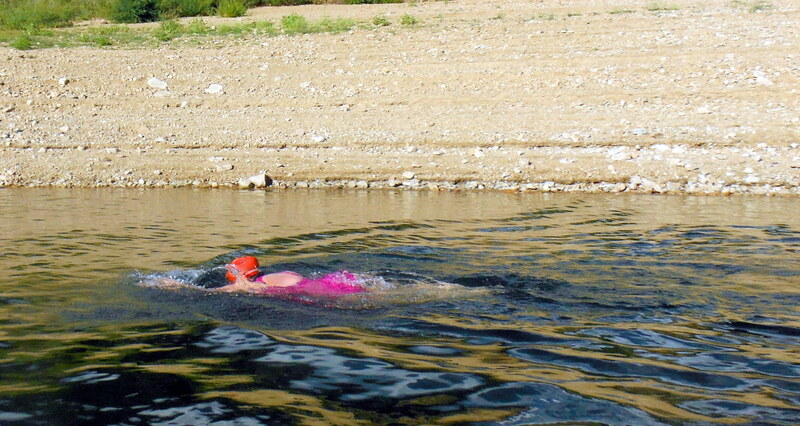 I can’t imagine my life without open water swimming and I’m so grateful it came into my life in 2011.